Shingen was one of the key Sengoku Daimyô and there is no need to add anything here as his story is so readily known. The eldest son of Takeda Nobutora 武田信虎 (のぶとら) 1494 – 1574. With his death this Takeda line ended. 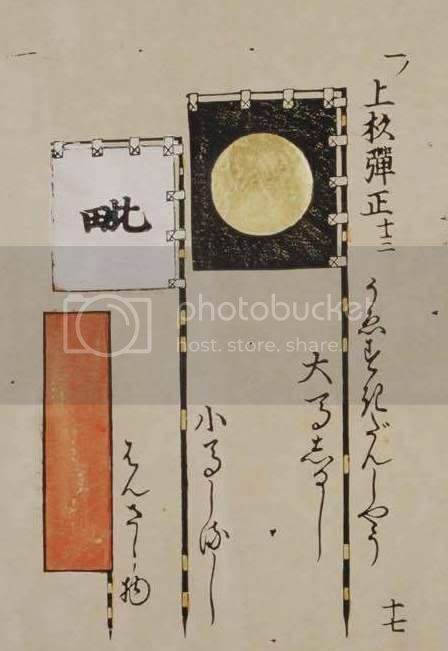 Takeda Nobuhiro 武田信広 1431 - 1494, of the Wakasa Takeda, was adopted by Kakizaki Sueshige. He went to Ezo in 1454 to help suppress an Ainu revolt and stayed. His descendants would change their name to Matsumae after the area of Ezo where they lived. In 1583 Matsumae Yoshihiro 松前慶広 1548 - 1616 became the Daimyô of Matsumae han, 10 000 koku, the only han ever established in Ezo. The family held the han till 1871. Matsumae Takahiro 松前崇広 1829 - 1866 was one of very few Tozama Daimyô to hold the Rôjû position. Katsutoshi (also known as Kitabatake Katsutoshi, Hashiba Katsutoshi and Takigawa Kazumori) (Shimôsa no Kami下総守) was born into the Kitabatake family, and was a close relation to Kitabatake Harutomo. He was then adopted by Takigawa Kazumasu (Ichimasa) 滝川一益 (かずます) 1525 - 1586 (Iyo no Kami 伊予守) when the Oda had absorbed the Kitabatake lands in Ise. He was followed by his son Takigawa Masatoshi 滝川正利 (まさとし) 1590 - 1625 (Iki no Kami 壱岐守) who held the fief 1610 - 1625. With his death the family ceased to be Daimyô. Hirotaka (also known as Terazawa Masanari and Terazawa Masatada) (Shima no Kami 志摩守) was the son of Terazawa Hiromasa 寺沢広正 1525 - 1596, who had served the Oda and Toyotomi. Hirotaka worked for Hideyoshi primarily in a logistic and admin role. He was involved in the Kyushu campaign and Imjin war. In 1593 he was given a 83 000 koku fief in Hizen at Karatsu and became governor of Nagasaki. For a brief period he was a Christian. After Hideyoshi’s death he sided with the Tokugawa and led 2400 men at Sekigahara. His fief was increased to 123 000 koku, but in 1603 he upset Ieyasu and was relieved of his governorship of Nagasaki. His son Katataka’s cruel actions were a prime reason for the Shimabara rebellion and they were removed as Daimyô. The Terazawa were unusual in having an animal as a mon, in their case a crab. Terazawa Katataka 寺沢堅高 (かたたか) (Hyûgo no Kami 日向守) 1609 - 1647. Committed suicide and died heirless. Ujikane was the son of Toda Kazuaki 戸田一西 (かずあき) 1542 - 1604. The family were from Mikawa and had served the Matsudaira and then the Tokugawa. He was the vice-commander of the shogunate forces during the Shimabara Rebellion. His son and heir was Toda Ujinobu 戸田氏信 (うじのぶ) 1600 – 1681. This branch would hold Ôgaki till 1871. A junior branch would be established at Hatagamura, Mikawa 10 000 koku from 1688 - 1869 for Ujikane's great grandson and subsequent line. A number of branches of the family were around during the late Sengoku and Edo periods, they all traced back to Toda Norimitsu 戸田憲光. Takatora was the son of Tôdô Torataka 藤堂虎高 (とらたか) 1516 - 1599. He served 7 masters including the Asai, Oda, Toyotomi and Tokugawa through his career which started as an ashigaru. Under the Asai (with Isono Kazumasa) he fought against the Oda and Tokugawa at Anegawa. Serving Hashiba Hidenaga for the Oda he fought against the Môri. Under the Toyotomi he was involved in the Shizugatake and Kyushu campaigns and then saw a rapid rise when he commanded the Toyotomi fleet for the invasion of Korea. He was now holding Iyo-Uwajima valued at 70 000 koku. Even before the death of Hideyoshi he was drifting into the Tokugawa camp and was present at Sekigahara with 2500 men in the thick of the fighting. 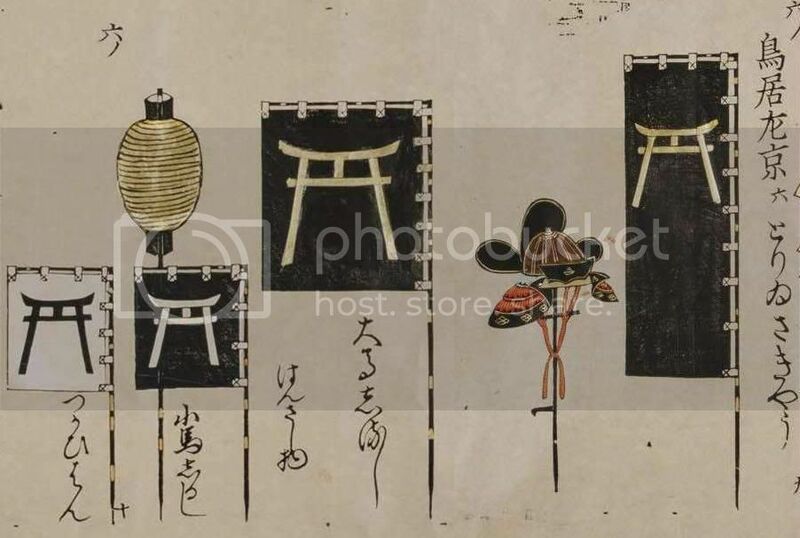 He was given Iyo-Imabari and now had an income of 200 000 koku, then in 1608 he was moved to Tsu-han (Ise 323 000 koku) a fief the family would hold throughout the Edo period. Takatora was present for the Ôsaka campaign where he fought the Chôsokabe at Yao, however two of his sons died in the fighting. He was now considered one of Ieyasu’s closest advisors, supervised the re-construction of Ôsaka castle, and was with Ieyasu in the latter’s final days. The Tsu fief passed to Tôdô Takatsugu on his death. He was susseeded as Daimyô by his son Tôdô Takatsugu 藤堂高次 1602 - 1676 who ruled till 1669. As stated the family held Tsu till 1871. Takatsugu was followed by his own son Tôdô Takahisa 藤堂高久 1638 - 1703. 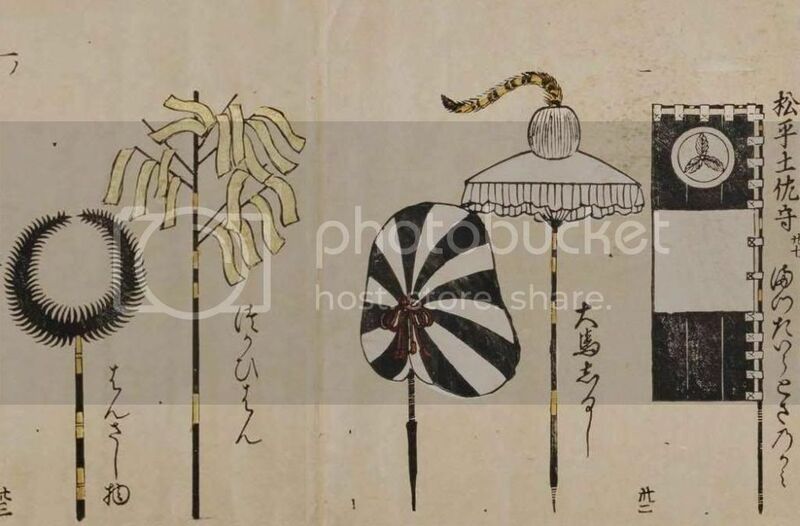 His second son, Tôdô Takamichi 藤堂高通 1644 - 1697, also became a Daimyô when he was given Hisai, Ise 53 000 koku, which that branch also held till 1871. Michiyasu, also known as Tatsuyasu / (Satoyasu), was the son of Togawa Hideyasu 戸川秀安 (ひでやす) 1538 - 1597, who had served the Ukita. Michiyasu was to defect and serve the Tokugawa at Sekigahara, as a result he received Niwase (Bitchu 30 000 koku). Four generations ruled at Niwase, but due to the fourth dying without an heir the family became extinct in 1679. The third of the Three Unifiers and founder of the 250 year Tokugawa Shôgunate. Nothing new can be added here he is well documented in books and on the forum. Matsudaira Nobuyasu 1559 - 1579 松平信康 まつだいら のぶやす Married d of Oda Nobunaga. Accused of treason and invited to commit seppuku. Leads to the Matsudaira (Yûki) and Matsudaira (Echizen) lines. The second Shôgun, but his direct line ended in 1716. Leads to the Matsudaira (Hoshina) line. The second of the feeder lines and with the end of Hidetada's direct line in 1716, the Kii house produced the next Shôgun Yoshimune. Yoshimune also started two additional feeder lines the Tayasu and Hitotsubashi lines. 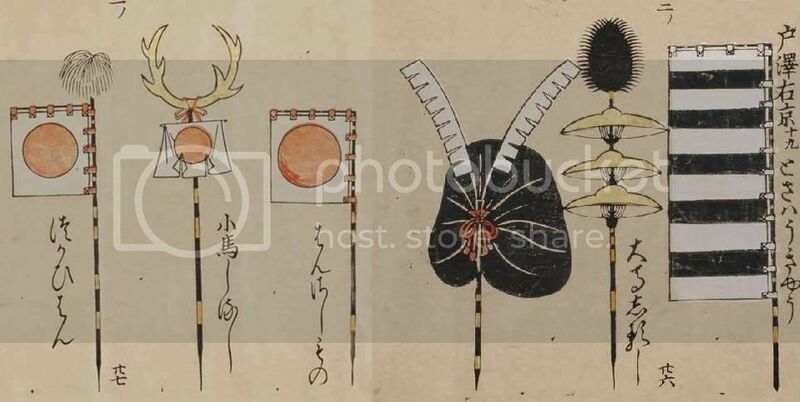 There are various illustrations around of Ieyasu’s golden fan standard with a red sun's disc on it, there is no evidence that such existed. 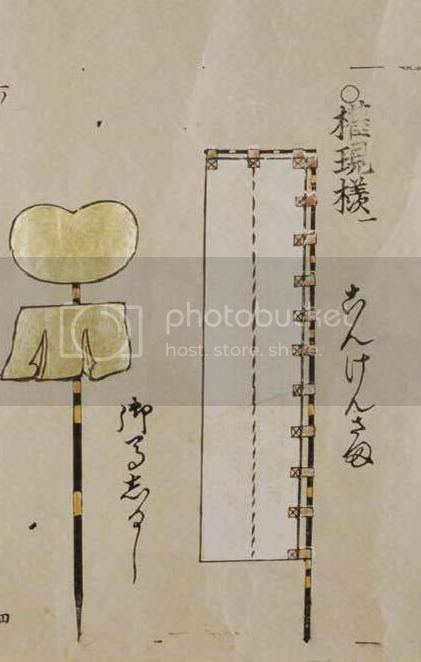 The original golden fan still exists at the Nikko shrine and it is plain gold as illustrated below. After his death Ieyasu was deified as Tôshô daigongen and first buried at Kuno. Then in 1617 he was moved to the Nikko shrine. 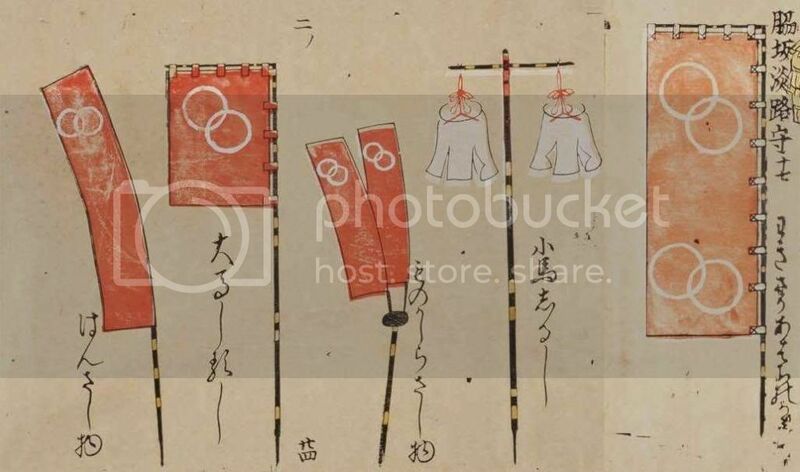 These banners appear to be associated with the deified Ieyasu. Yorifusa, also known as Mito Yorifusa, was the 11th son (9th living son) of Tokugawa Ieyasu. 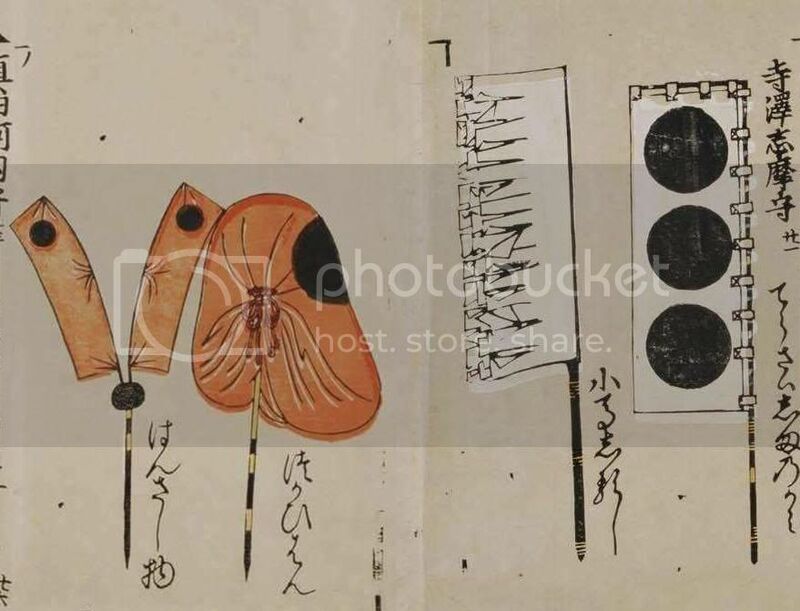 As a child he received Shimotsuma (Hitachi 100 000 koku) and was moved to Mito (Hitachi 350 000 koku) in 1609, This was the third of the feeder domains and actualy provided the last Tokugawa Shôgun Yoshinobu. Yorifusa was succeeded by his 3rd son Tokugawa (Mito) Mitsukuni 1628 - 1701 徳川(水戸)頼房 Daimyô 1661 - 1700. The Mito line lasted till 1871. Yorinobu, also known as Tokugawa Yorimasa, was the 10th son (8th living son) of Tokugawa Ieyasu. He married a daughter of Katô Kiyomasa. Aged only two he received the fief of Mito. In 1610 he was moved to Sunpu 500 000 koku, his father’s estates, then in 1619 to Wakayama (Kishû) in Kii 500 000 koku, here establishing the Tokugawa Kii branch; a feeder branch in case of the main family branch having succession problems. His son and successor was Tokugawa Mitsusada. Another son Matsudaira (Kii) Yorizumi 1641 - 1711 松平頼純 まつだいら よりずみ received Saijô, Iyo 30 000 koku 1670 - 1711, this line would hold Saijô till 1871. The Kii line also was the provider of the last two Tokugawa feeder houses - the Tayasu and the Hitotsubashi - from sons of Yoshimune. Yoshinao was the 9th son (7th living son) of Tokugawa Ieyasu. He saw action at Ôsaka. Owari like Kii was a Tokugawa feeder domain. He was followed by his son Tokugawa (Owari) Mitsutomo 1625 - 1700 徳川(尾張)光友 Daimyô 1650 - 1693. He was followed by his son Torii Tadatsune 鳥居忠恒 1604 - 1636 Daimyô 1628 - 1636 who reached 240 000 koku but died heirless. Hidetsugu, also known as Hashiba Hidetsugu, was the son of Toyotomi Hideyoshi’s elder sister and was adopted into the Miyoshi family. He later re-named himself Hashiba after his more famous uncle. As one of Hideyoshi’s few relatives he received a 400 000 koku fief in Ômi after Oda Nobunaga died in 1582. He served in the Komaki, Shikoku and Odawara campaigns and became Hideyoshi’s heir. When in 1593 Hideyoshi had a new living son Hidetsugu fell out of favour and in 1595 he was ordered to commit suicide. The second of the Three Unifiers, rose from an Ashigaru to rule all of Japan, but died leaving only an infant son. Masamori was thw son of Tozawa Moriyasu who had served the Nanbu. 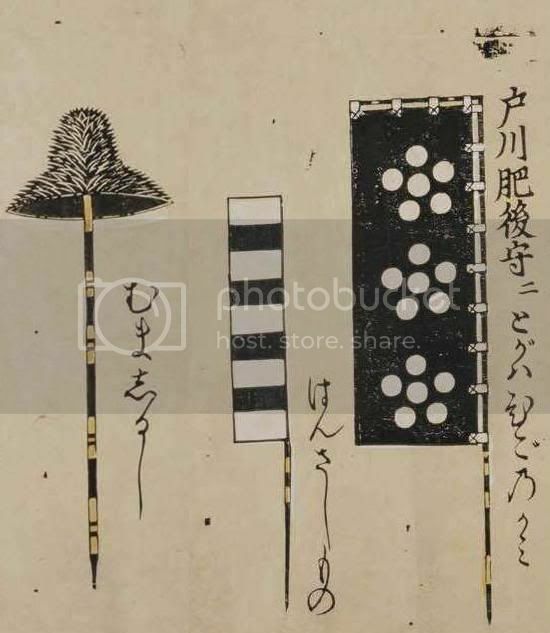 In 1600 Masamori sided with the Eastern army for the Sekigahara campaign and as a result received Matsuoka (Hitachi 40 000 koku), in 1622 he was moved to Shinjô (Dewa 68 000 koku) which the family would hold for the rest of the Edo period. In the Sourcebook it is speculated he was related to Tsuchiya Masatsugu, who died at Nagashino with the Takeda whom he served. Tadanao served the Tokugawa. Nobuhira was the 3rd son of Tsugaru Tamenobu and was married into the Ikeda family and the Tokugawa family. During the Sekigahara campaign he sided with Tokugawa Ieyasu along with his father and brother Nobukata, his other brother Nobutake sided with Ishida Mitsunari. The family had 1000 men at Sekigahara. A fair number of families (not direct vassals of either side) employed this stratagem to ensure the family’s survival. The Tsugaru were destined in the Edo period to suffer a number of succession arguments that required intervention by the Shôgunate. Nobuhira was Daimyô of the Hirosaki-han (Mutsu 47 000 koku) from 1607 – 1631. He was followed by his eldest son Nobuyoshi. Kagekatsu was the 2nd son of Nagao Masakage and the adopted son of Uesugi Kenshin, his uncle. After Kenshin’s death he battled with Kenshin’s other adopted son Uesugi Kagetora and won in 1578, Kagetora was forced to commit suicide. Kagekatsu served Toyotomi Hideyoshi in the Odawara campaign and the Imjin war. By 1600 he held a domain worth 1 200 000 koku and during the Sekigahara campaign he allied himself with Ishida Mitsunari. The plan was for Kagekatsu and other northern Daimyô to keep the Tokugawa occupied whilst the Western army stole a march towards the Kanto. As it turned out Ieyasu’s allies in that area (the Date, Mogami and others) contained the threat and Ieyasu was free to follow his own plans. 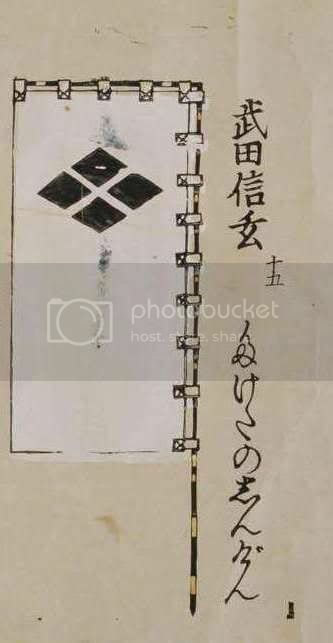 Very quickly after Sekigahara he pledged allegiance to the Tokugawa and was given Yonezawa (Dewa 300 000 koku). He served the Tokugawa at Ôsaka. He was followed by his son Sadakatsu. Yasuharu served the Akechi, the Toyotomi and the Tokugawa in his time. He served the Akechi in Tambe and at Yamazaki. 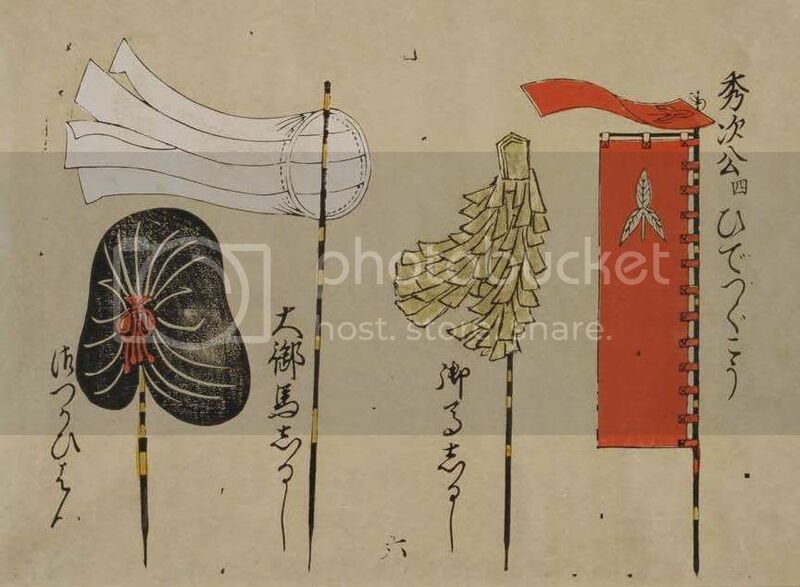 For Hideyoshi he served at Shizugatake and was named as one of the “Seven Spears” of that battle. He received Awaji Island and it as an admiral we follow him now. He served in his role during the Kyushu and Odawara campaigns and was one of the main naval commanders for the Imjin war. After Hideyoshi’s death he went into the Sekigahara campaign as part of the Western side. He led 1000 men at the battle and during it changed sides. After he received a fief in Iyo worth 50 000 koku, then in 1617 moved to Iida in Shinano. He was followed by his son Wakizaka Yasumoto. Kazutoyo was the son of Yamanouchi Moritoyo. Sometimes the family name is written as Yamouchi or Yamauchi. He served the Oda and fought at Anegawa and Nagashino. He then served Hideyoshi during the Odawara campaign and received Kakegawa (Tôtômi 50 000 koku). He moved into the Tokugawa camp leading up to Sekigahara and led 2000 men at the battle. He was awarded the Tosa-han in Shikoku worth 200 000 koku. He requested assistance from the Ii in pacifying his new fief. He had no children and adopted his brother’s son Yamanouchi Tadayoshi. The family held Tosa throughout the Edo period. Toshiie was followed by his own infant son Yamazaki Haruyori 1650 - 1657 山崎治頼 やまざき はるより who reigned 1652 - 1657 and died heirless. The line was not continued. Ieharu's second son, Yamazaki Toyoharu 山崎豊治, as a result was given a hatamoto holding in the old family fief of Nariwa,Bitchû in 1658. This lasted till 1868 when it once again became a han. 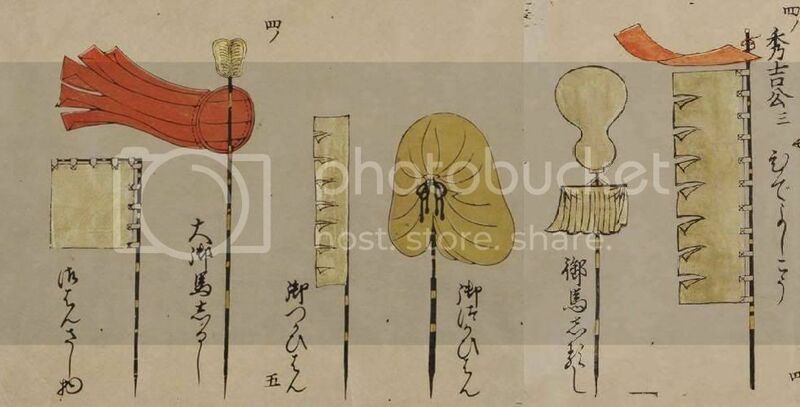 From 1868 - 1871 three Yamazaki Daimyo would hold the, now 12 000 koku, han. 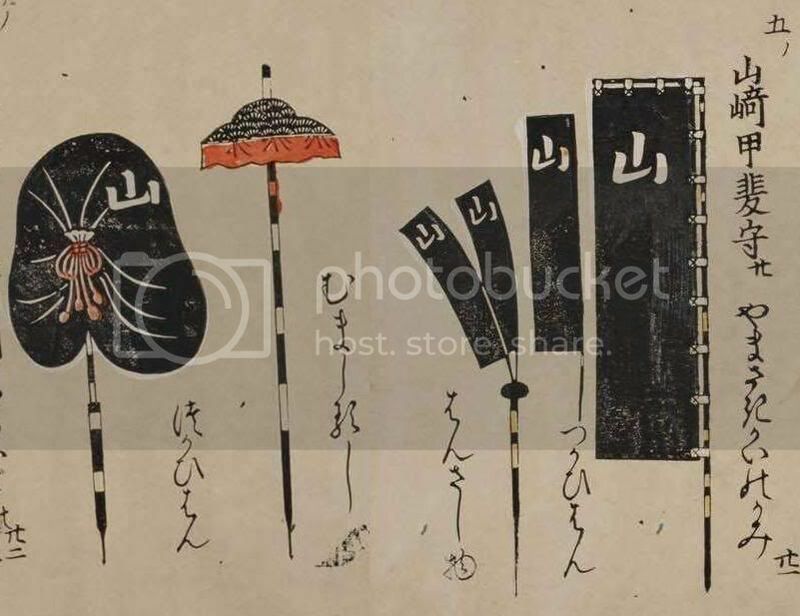 The character on the banners is yama (mountain). That is all the sets now posted. I will return at intervals and update information as it becomes available. 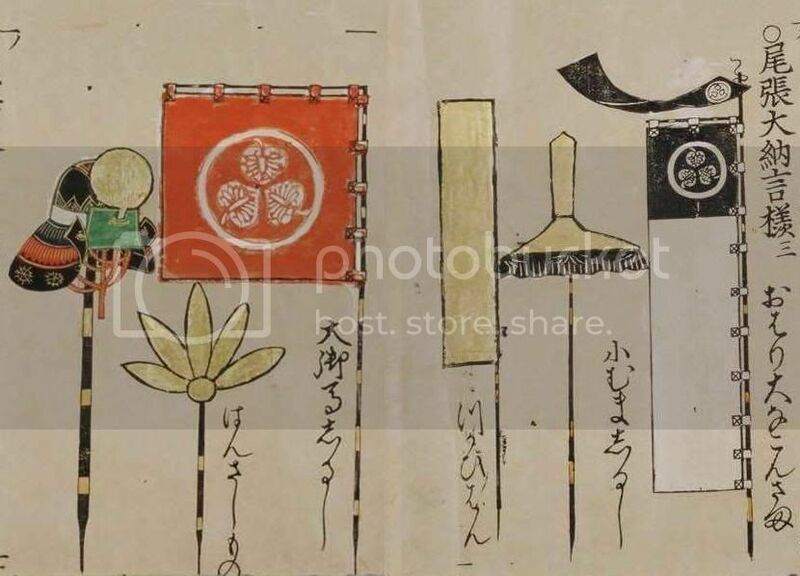 My thanks to Zenmaster who originally posted the images of the scrolls which gave me the idea of producing this English language version. My thanks to Kitsuno, Evalerio, Lordameth, Nagaeyari, Akaguma, Bethetsu and Tatsunoshi for their assistance along the way. I hope this thread has been both interesting and informative.